I’m no expert in beef farming, or dairy farming for that matter. I’m almost embarrassed to say I visited dairy farms in China, Japan, Vietnam, South Korea, and camel dairies in United Arab Emirates before I toured my first American dairy farm (compliments of Van Beek Dairy with my then second grader). It’s funny really – when one farms, non-farmers kind of expect us to know all about ALL farming. When I was on a radio interview once the year I was Farm Mom, the host kept asking me about chickens. I didn’t know the answers and he couldn’t figure out why I didn’t know! I said we farmed grass seed, not chickens, and he just shook his head. So while I don’t know a lot about how beef is raised, I sure am thankful for those ranchers and farmers who do. Ever heard of Kobe Beef? You probably have, and you probably know it’s also very expensive in America. Kobe is a “brand” of Wagyu beef from the Kobe area of Japan. 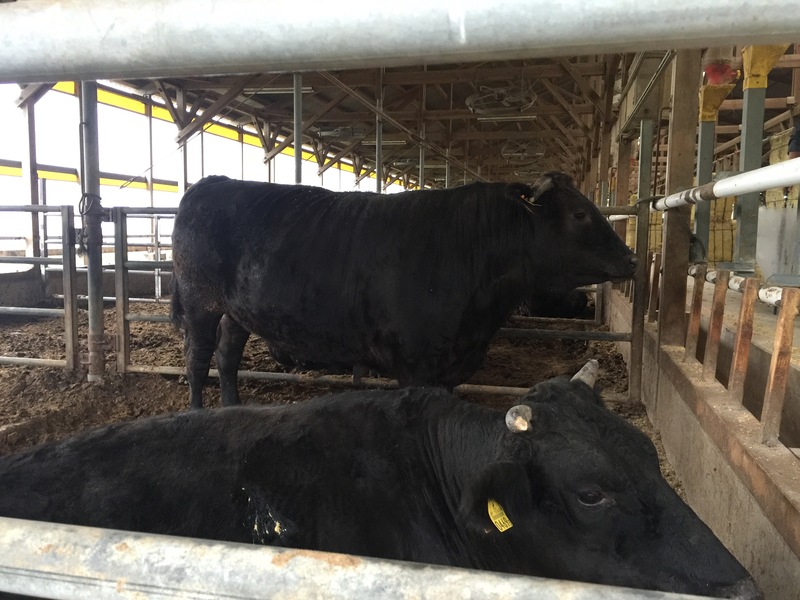 Wagyu cattle is the breed of beef cow – like Angus or Hereford. I was able to visit a 3rd generation beef farmer, which was exciting because I’m a 3rd generation grass seed farmer. 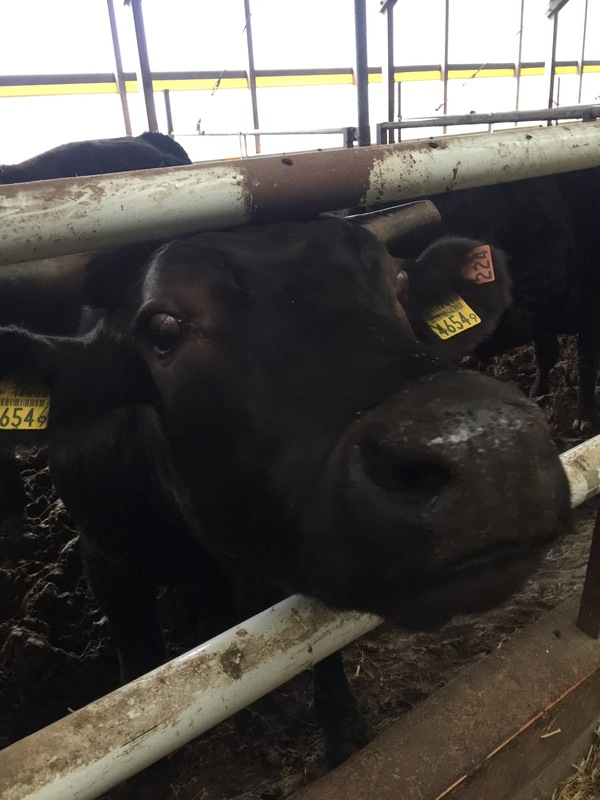 His grandpa started the farm, his dad didn’t want it, so now he is the 34-year-old CEO of the 1000-head Wagyu beef operation. You might be asking why we are selling them grass straw from Oregon. The short answer is Japan is an island with a large population where there isn’t a lot of land for pasture for their animals. What isn’t cities in Japan, is mainly mountains. 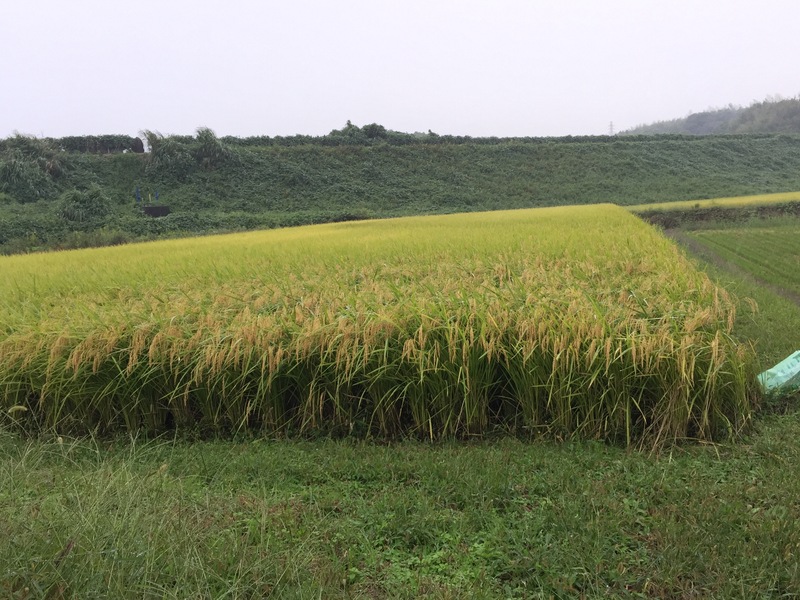 In fact, the farm that I visited was on multiple levels – basically built on the side of a mountain, because the flat ground is needed for rice fields or houses. 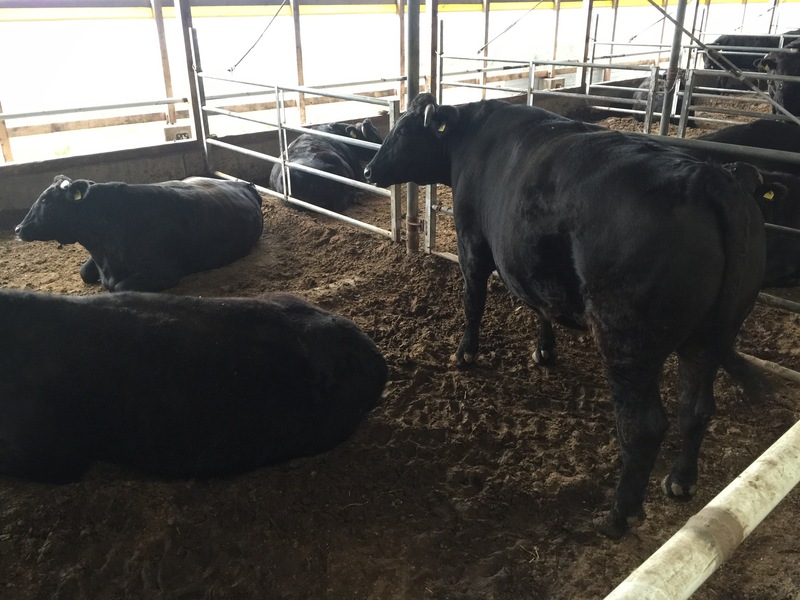 Because the cattle can’t graze on pasture land, they have to import their feed. 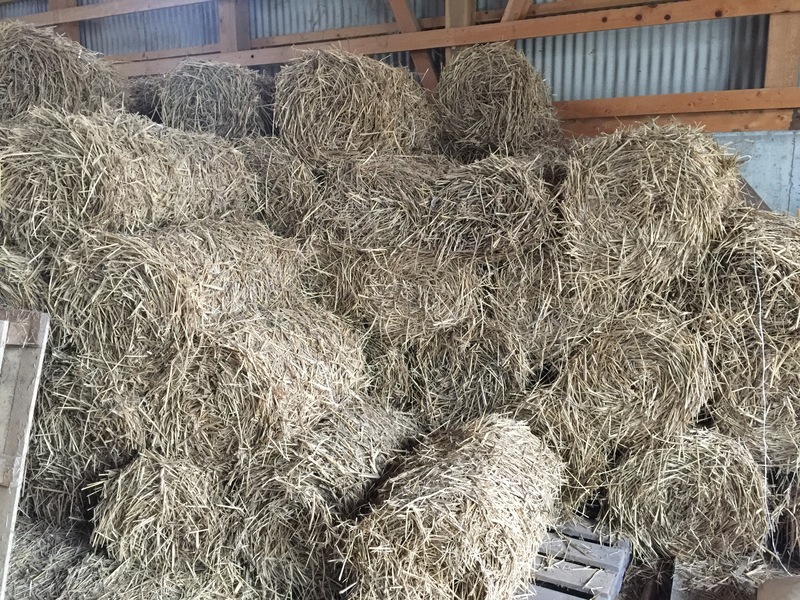 Because Oregon’s grass seed farmers can’t burn their fields anymore, many choose to have the straw baled. So, basically we are able to export an un-needed product out of Oregon to Japan where it is needed. And, one of my dad’s favorite lines: We turn Japanese Yen into American Dollars. Boom! They also use their domestic rice straw, pictured below, as a fiber source in their diets. It’s so interesting to see different ways farmers bale their feed. The “bale type” is totally based on what it’s being used for, the transportation needed to get to its final location, and the equipment that is available. As you can see here with this bale, it’s loosely baled, which means it came from a local farm with a cost-effective piece of equipment. The weight packed into the bale doesn’t really matter if it’s close by and you don’t have to worry about transportation cost, and warehousing space doesn’t need to be maximized. A lot to think about when talking about food and how it’s produced. And if anyone is interested, here is a rice straw field that is ready for harvest. They are waiting for the field to dry out so they can harvest the crop. Sounds like Oregon this summer! Farming around the world is pretty amazing. And while there will always be similarities among the way different farmers in different countries farm, we all make decisions based on the resources or constraints we deal with. So basically, whether I’m in America or in Japan, whether it’s Angus or Wagyu… BEEF, its what’s for dinner.